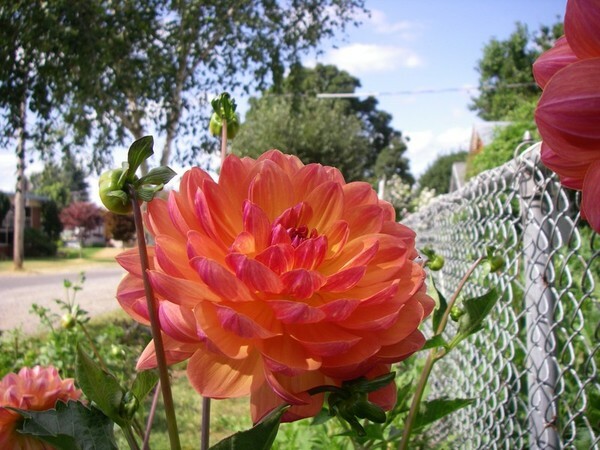 Peachy-orange petals with hints of fuchsia and a glowing yellow center. Stunning waterlily dahlia! Good cut flower.